Do you remember when you last took a shower? Was it when you returned home from work? Or, was it when you woke up in the morning? How did a hot shower make you feel, first thing in the morning? Bright? Refreshed? Buoyant? Or, all of these and more? Millions of people the world over head for a shower when they wake up. Taking a shower has become as ingrained as the A-B-C of the alphabet. It is something you just do, without even thinking about it. Yet, did you know that each time you took a shower, you put your health at risk? This might sound bizarre. However, the health risks you encounter while showering, go beyond the ubiquitous slips and falls, which typically occur in the bathroom. A few years ago, the BBC reported the results of a study. This study showed how dirty showerheads usually delivered unhealthy loads of harmful bacteria. By inhaling these bacteria into their systems, people began suffering from a variety of lung issues. People with low immunity levels suffered the most. The use of plastic or vinyl shower curtains leads to another health risk associated with showers. Manufacturers use polyvinyl chloride or PVC for making these curtains. PVCs come into close contact with chemicals called phthalates. Exposure to phthalates leads to the occurrences of breast cancer, enlarged prostate glands, hormonal disruptions and even testicular cancer. Shower curtains also pose another health risk. With each shower, your shower curtain accumulates a variety of germs. You cannot avoid touching the shower curtains before, during and after taking a shower. In doing so, the germs transfer to your body. This can result in a variety of ailments like urinary tract infection, pneumonia and even abscesses in the stomach region. The risks listed above are probably just the tip of the iceberg. With proper cleaning, you can easily get rid of dirty showerheads and germ-infested shower curtains. However, what do you do when you discover that the showering products you use – and trust implicitly, are your own worst enemies? 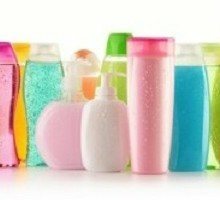 In August 2013, the Center for Environmental Health (CEH) in the U.S. tested a number of personal care products sold by major national retailers. They unearthed the presence of a carcinogenic substance called cocamide diethanolamine (cocamide DEA) in 98 shampoos, soaps and other personal care products. Even worse, they also found this carcinogen in products marketed to children. If you consider organic products safe, read on. CEH also found products that manufacturers had falsely labelled as being organic. These products also contained cocamide DEA. You might assume that the lesser-known brands were guilty of this non-compliance. However, several famous brands like Colgate Palmolive, Neutrogena, Colomer, and Walmart etc. were also among the guilty. Not all showering products are safe. 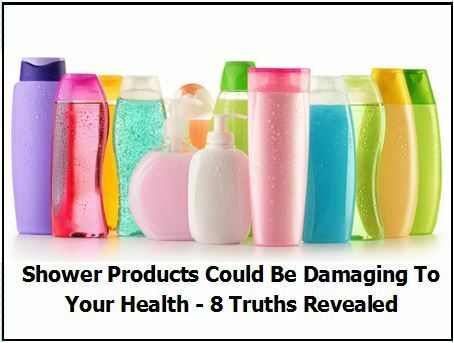 Read on to see how your showering products could be putting your well-being at risk. SLS makes the skin dry. It also leads to several irritations of the skin, the eyes and the lungs. Formaldehyde is a pungent-smelling gas. Its presence in your shower gels, could lead to watery eyes, nausea and burning sensations in the eyes and throat. Similarly, the presence of benzene could lead to birth defects and even cancer. Thus, using shower gels with these ingredients could do more harm than good to your body. Coumarin is a carcinogenic ingredient. Several manufacturers used it earlier, as an active ingredient for making rat poison. Coal tar dyes can spark off a number of conditions like allergy attacks, asthma attacks, nausea, Hodgkin’s disease, multiple myeloma etc. Shampoo manufacturers use diethanolamine as a thickening agent. However, this substance does not let the body absorb choline (a nutrient needed by the body). This results in impeded brain development of the foetus. Triethanolamine causes allergic reactions in the body. Some symptoms of this are eye problems, dryness of the hair, dryness of the skin etc. Prolonged use of any conditioner containing this could be toxic. It could even result in cancer. Derived from various petroleum products, propylene glycol is even more deadly. When inhaled, it irritates the nasal passages, thereby leading to nausea and vomiting. If it enters the blood stream, it spreads throughout the body. The consequences of this could result in convulsions, congestion, cardiac arrest, damage to the central nervous system etc. Similarly, research has proved that sodium hydroxymethylglycinate causes leukaemia, brain tumours and other forms of cancer. Acetone is a natural substance, easily found in plants, trees and volcanic gases. The human body also contains small traces of this substance. Yet, prolonged exposure to acetone could lead to palpitations, nausea, vomiting and throat and lung irritation. It also leads to skin dryness and cracked skin. Dioxane is a by-product of the process used for manufacturing certain cosmetic ingredients. Absorbed easily by the skin, this carcinogen could lead to irritations of the skin and the lungs. It could also result in vertigo. Acrylates are surfactants that readily attach to the skin. Yet, they result in dermatitis, occupational asthma and rhinitis. Alpha hydroxy acids comprise fruit and milk sugars. These sugars help in removing the outer layer of the skin. This trait makes them ideal for reducing the signs of ageing. However, because they remove the outer layer of the skin, they render the user susceptible to various skin irritations. Acetic acid is a carboxylic acid. People use it for its antibacterial and antifungal properties. However, it is a respiratory toxin. Inhaling acetic acid could result in damage to the lining of the nose, throat and the lungs. Ethanol (or alcohol) is a liquid obtained by fermenting sugar, starch and other carbohydrates. It has several medical and industrial uses. However, it can also cause irritation of the eyes and the skin. Nausea, vomiting and damage to the liver are other hazards of ethanol. Talc is a substance you could commonly find in all kinds of powders e.g. baby powders, feminine powders, body powders etc. However, talc is a known carcinogen. If inhaled, it could lead to fibrosis of the fallopian tubes. It could also result in ovarian cancer, respiratory disorders of various kinds etc. Chemists use magnesium stearate for binding medicinal tablets and smoothening them. However, magnesium stearate could contain a substance called phosphatidyl choline. This substance leads to the collapse of the cell membranes. It also weakens the immunity system. If your personal care products contain hazardous ingredients, the benefits offered by these products will hardly be of any use. Some of the effects of these chemicals can be life threatening. Therefore, you need to find purer and greener alternatives. Thankfully, you do not have a dearth of options when it comes to organic showering products. Consider the alternatives listed below. Detoxification of the body from chemicals, heavy metals etc. Organic essential oils are oils derived from plants cultivated without the use of pesticides or herbicides. Therapeutically superior to non-organic oils, essential oils contain the essence of the plant i.e. the distinctive scent of the plant. This makes them perfect for use in perfumes, cosmetics, soaps, food flavourings, incense and household cleaning products. Examples of essential oils includes eucalyptus, lavender, peppermint, lemon, sweet orange oil etc. Many people add a few drops of this oil into their daily steam shower or bath to enjoy the experience of aromatherapy. These oils provide relief from various aches and pains, stress, stiffness in the muscles etc. Therefore, it comes as no surprise that various celebrities like Jessica Alba, Alicia Silverstone and Nelly Furtado trust this brand to keep them looking surreal and radiant. We appreciate flowers because there is nothing artificial in them. We appreciate nature because it accomplishes and replenishes so much, without ever counting the cost. For years, people have used artificially manufactured products. Today, they are turning towards nature for a safer and a more enduring solution. Organic showering products fill that gap and help you attain a naturally beautiful and appealing look. It is ironical indeed that the more we progress, the more we return to our roots – into the arms of Mother Nature.